Global Coin Research Editor-in-Chief Joyce Yang and Chao Pan, head of China at MakerDao, are talking about Maker in China – We help you think smartly about the crypto and blockchain landscape in Asia 5-10 years out. 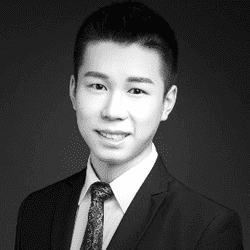 Chao Pan is Head of China for MakerDao, leading Maker’s China communities and research efforts. China is a big market and Chao is responsible for onboarding China for Maker. He manages large MakerDao groups on WeChat and speaks to institutional and high power Maker users in China frequently. In our call, I will ask Chao the trends on stablecoins in China, the pace of blockchain development there, and how Maker is received in China. What questions do you have for Chao?? Format: Joyce and Chao will kick it off with Chao talking about the set up of Maker in China and the broader APAC region, and we will also discuss the sentiment for Maker in China and cover Maker’s vision and roadmap for China. We’ll then open up for questions from the audience. How: Become a premium subscriber and join our call. For a limited time, we are offering a3 month for $30 trial for those who join our premium plan. As a member, you’ll get immediate access to this conference call. You’ll also get access to all the Global Coin Research resources and analyses including future conference calls and the most important crypto information about Asia delivered to your inbox.